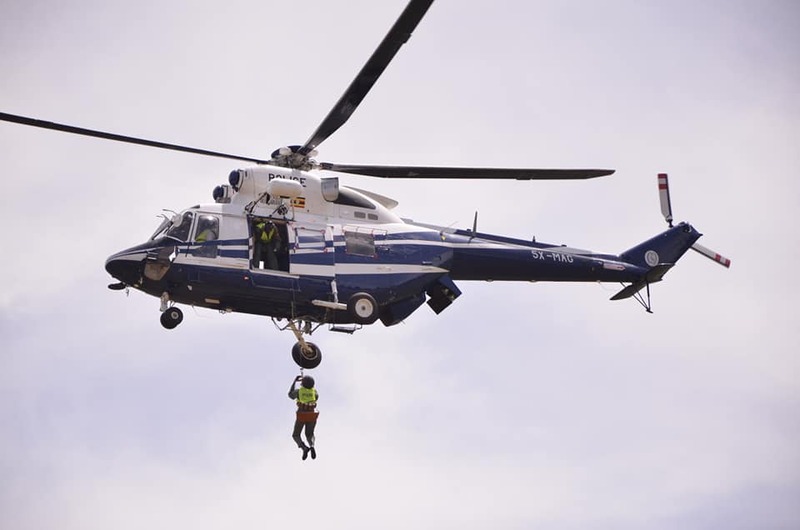 KAJJANSI – Uganda Police Force Air wing has Friday, February 22 displayed its capabilities on how to carry out emergency rescue services and fighting crime in the country. 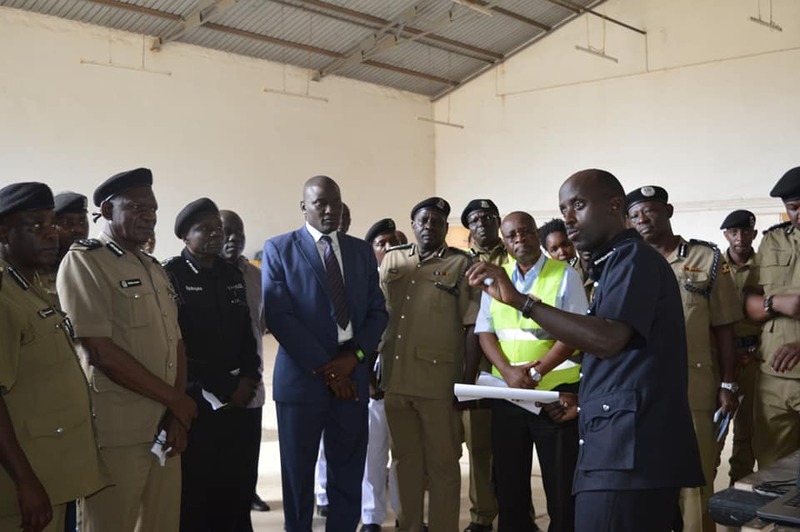 The display was done for the Deputy Inspector General of Police, Directors and Senior Police Officers at Kajjansi Airfield where their headquarters are based. 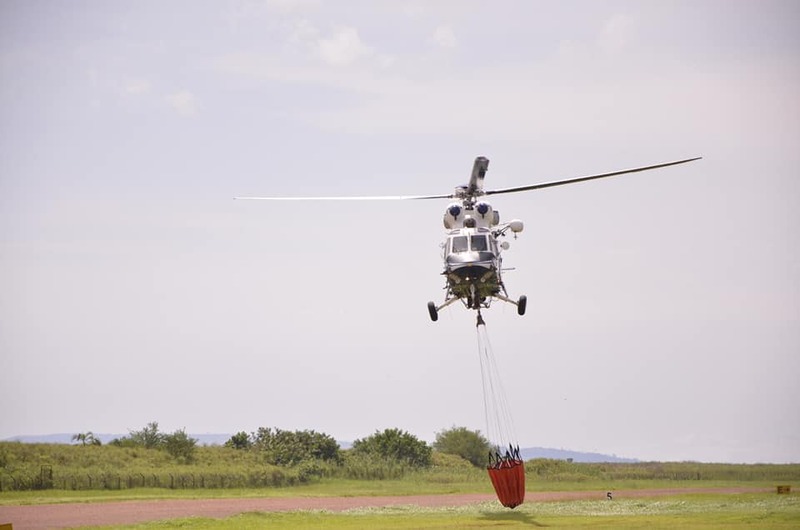 Among the capabilities displayed are; fighting wide fires and on high buildings by helicopter, in fighting fires a bambi bucket is fitted in the helicopter and water equivalent to two tones is used to fighting fire. They also displayed the capability of medical rescue, air assault and speed chase in case of robbers using a vehicle that is more powerful than the police car. Police add that, this can intercept the vehicle and calls for a backup from troops on the ground. The Deputy Inspector General of Police, Maj. Gen. Sabiiti Muzeeyi commended the Air wing for having such capabilities and asked them to even think of other ways to develop the wing. Maj. Gen. Sabiiti urged the Officers of the wing to be disciplined and to handle the assets of the department as if it’s their own. He commended President Yoweri Museveni for the support he extended to the Air wing including demanding for better pay for the Pilots. He said that the wing will soon acquire a fix wing aircraft that will boost their capability. The fixed wing to be acquired is a P 180 Evo. The Commandant of the Airway, Col. Ham Kaija, said that Police can now be able to respond to any incidents that need air services, troop movement in a matter of seconds, and surveillance. The wing has 13 Pilots.